This is a class devoted to upper body strength. You will flow through a series of modified arm balanced to help build strength and increase bone density. By using your natural body’s weight you decrease the risk of injury and gain those long lean muscles that help prevent osteoporosis and keep your body strong and supple. Rudy often describes himself as “obsessed” with yoga and it is clearly evident in his teaching. Utilizing his experiences both on and off the mat, he inspires students to challenge their perceived boundaries while respecting their limitations. As he guides students within the class, he carefully breaks down each movement, finding myopic muscle and energetic actions to achieve the most of each position. Always teaching from experience, whether cautioning about potential injuries, recommending the perfect modification, or reminding a student to stay calm, focused, and within the moment, Rudy uses his wit and charisma to motivate his students. His teaching style helps beginners understand the asana and can revive even the most seasoned yogi’s practice, breathing in new life with a deeper physical and philosophical understanding. Rudy’s intelligent sequencing and unique transitions create an ever-changing experience through the most basic of postures. Each practice with Rudy is an adventure but the result is always the same, elation from meeting a challenge head-on that helps create a strong and resilient physique and mind. Armed with a huge heart, wicked sense of humor, and fierce belief in the practice, Rudy’s enthusiasm for yoga shines through in every class helping each of his students to become a yoga warrior themselves. Rudy Mettia has ascended from teaching yoga in an abandoned back room of a church nestled at the foot of the Hollywood Hills, to claim his place among the top tier of yoga teachers in the hyper competitive mecca of the American yoga scene, Santa Monica, California, thereby the country. 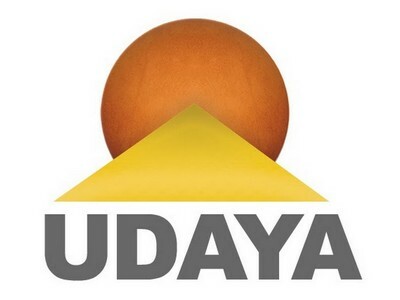 UDAYA ENTERTAINMENT INC. founded in 2011 is a yoga, health and wellness lifestyle company that produces high quality, cinematic yoga and fitness classes on dvd, flash drive, and on its online streaming platform on UDAYA.com. The website is an at-home hub featuring thousands of classes which can be easily managed with our advance search and personalized calendar functions. UDAYA.com streaming members are provided with new classes each week for maximum variety and unlimited access to our class library, which includes programs, challenges, nutrition & cooking videos, as well as live music performance videos with world renowned kirtan artists and musicians such as Dave Stringer, Masood Ali Khan, Spring Groove, and Sheela Bringi, to name a few. 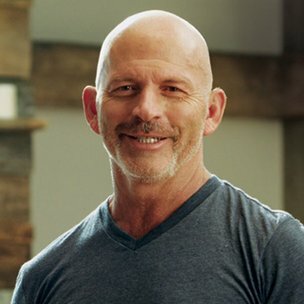 Along with an incredible variety of online classes, The Ultimate Yogi with Travis Eliot is UDAYA’s flagship program and was recognized as the best yoga dvd of 2012 and continues to support people in changing their lives through mind body awareness over the course of 108 days of yoga and meditation. Other in-depth & dynamic program sets from UDAYA include SmartFLOW yoga with Annie Carpenter, Yoga Warrior 365 with Rudy Mettia, Mythic Yoga Flow with Sianna Sherman, Find Your Practice and Deepen Your Practice with Vytas Baskauskas, Yoga Elementals with Tony G, and Liquid Asana Live with Micheline Berry. Each class is captured using highly specialized cinema industry camera equipment and an experienced film crew. We shoot using multiple camera angles to encapsulate every aspect of each pose and instruction. Our goal is to ensure that you are getting the ultimate at home-yoga experience. Our family of yoga teachers has hundreds of years of combined experience and training. Each teacher has honed their specific skills and practice over the life of their career and are excited to share their knowledge with you in the comfort of your home. In 2016 UDAYA launched UDAYA LIVE Yoga & Music Retreat, which takes place every August in beautiful Bulgaria. Over 50 inspirational teachers and musicians travel from all over the world to come together and create a unique and celebratory yoga experience for local and international travelers alike.